Am I the only person who finds this carry on pretentious? The "celtic tiger" culture springs to mind whenever I hear one. Personally, and maybe this is because my family is a small one, I think that passing on the family name is a great, and important, tradition. 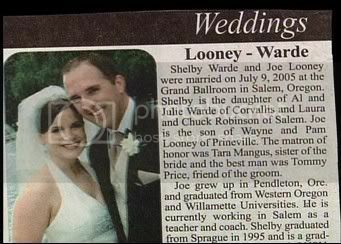 I think double barreled names are daft, what happens if two people with double barreled names marry? 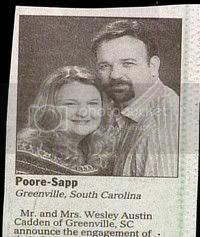 Will their kids names be paragraphs long? It's maintained the double-barreling keeps both families names alive, but it doesn't, names will have to be dropped. Some women I work with did it to keep their maiden name from dying out as they came from a family that was predominantly womena. Certainly the connotations it carry are elitest especially when a lot of them are preceeded by Sir such and such! Its very pretentious! If the people concerned were at all sensitive to culture and the potential loss of family names they would have gaelicised them. 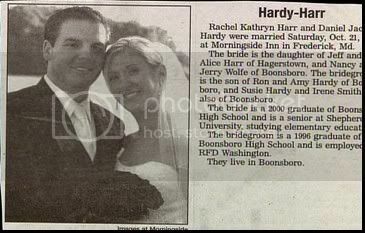 what happens if two people with double barreled names marry? Will their kids names be paragraphs long? Oh good, I'm not the only one who's wondered about that. Do you Mary Elizabeth Black-Whyte take this John Paul Greene-Browne to be your etc. Double sirnames in Ireland are a joke. In reality, with the Celtic Tiger and the then belief that Ireland and the Irish were superior, the use of traditional Irish names became the fashion of the nouveau riche. There are far more Cians, Fináns, Aoibheanns, and Siomhas now than the ordinary names which were good enough for our parents and grandparents. The Spanish tradition seems to maintain generations worth of surnames, but usually only one is in common usage (the father's, I think) while the others are on the birth cert/records. Good way of keeping family records without actually getting ridiculous. Plenty of people here will put a surname on a birth cert without using it on a daily basis too. Having said that, the double barrelling can get a bit ridculous, true. Beverley Cooper-Flynn. What was the caper there. Was she afraid that the names 'Cooper' or 'Flynn' would disappear if she didn't highlight both of them? Very public spirited of her I am sure. Some wills and family assignments have prov ided that the beneficiary take the testators or grantors name along with their own. Otherwise it is adopted just to keep a particular name alive. Last edited by homer; 12-03-2012 at 08:56 AM. Thats some ego on the willmaker ... I'll leave you some money but you have to change your name... I shouldn't have thought that was a very common occurrence. The name clause was more usual with a bequest or grant of land - keeping the name alive. In Irish it was called "mortais cine" Have to check the spelling of that as I havent the dictionary to hand but loosely translated it means "pride of the tribe! I think double-barreled can be daft and unintentionally funny.